the “food” was always mashed up. There were about four of us to a crib. The helpless crying baby would cry for the love she needed, but no one would come. She’d cry and hope, cry and hope, cry and hope until there were no more tears to shed. will hear you. Years she cried and hoped for her life. The hope never died. When the special some ones finally came her crying then, turned into screaming. She wanted so badly to love them back, but how could she if she never knew what love was. Hatred toward people burned in the little girls heart. What happened in her first three years marked her heart in way only God could change. The love her parents showed her was so foreign and yet so addicting. As she grew older fear of losing them grew more each day. She was falling in love. Then they told her about who Love is, how He brought her to them, how he died for her sins and how He loves her. She believed and loves Him back. That day she accepted Christ to be the boss of her life. The little girl is me. I’m alive and shouldn’t be at least that’s what the world says. It would’ve made the most sense, that is why they call me a survivor. you just read was only a glimpse of what I went through. As I mentioned I hated people and was locked out from reality. I felt like the world was moving around me waiting to be touched and I was in glass. The only emotion I felt for years was fear. Fear of being hit again, left again, and unwanted. But when I asked Christ to be the boss of my life I became alive. I would “run” the best I could with my hurt little legs, sing, love, and be fearless because He is living me in. There were times I have forgotten my first love, Christ (The Scariest Road), but like in the orphanage He hears my cry and calls me His. 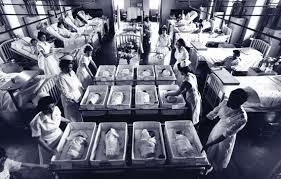 Babies were placed on bread trays and stacked on racks. 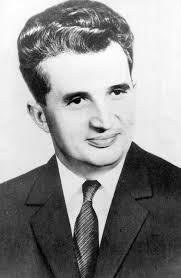 Nicolae Ceausescu, the man who started the orphanages. we would rock ourselves for self soothing, and look at our hands because it was the only thing to look at. Some ask how could I believe in God after what I went through. My answer is this. I believe there’s a hell. I’ve only tasted it in just three years. Mean people are the result of sin and so badly the Devil wants to rob me from the truth of knowing God and who He is and how He loves us. The Devil thrives off of abuse and will do anything to pull us away from God. Why? Because God is love, joy and enough. It’s hard to fathom babies going through this. Adults couldn’t even handle it … Fear, isolation, hate, beatings …. Sounds more like a prisoner of war camp than an orphanage. And yet little babies and little kids are forced to call these places home. Your words are convicting as well as we’ve gone through a rough day with Leyla. Well, many days are rough with her. Yet I’m wondering how much of her behavior is born from the same fear of being left alone, or abandoned. Thanks for being brave in your story. Wow Hyla, I had no idea this was your experience. Thanks for sharing! It is a beautiful reminder of God’s redemption and what it means to be adopted by Him. Thank you for sharing this part of your story. I am so glad you know Love. Oh my goodness, thank you for sharing your journey. I am proud to know you! 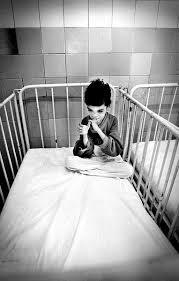 I have heard adults describe conditions for children in orphanages, but never the child as an adult. Thank you for sharing your eye-opening experience with us. Part of our mission is to care for the fatherless. Your story is such a powerful one. Only God can break those strong walls we have in our lives. I am SO sorry you had to go through this awful experience. No child should have to face such circumstances. Wow! What a story. You are so right though. The devil wants to rob us of all that God has in store for us. Thank you ! This was so encouraging to read. It is so awful that children go through experiences like this and I’m so very sorry that you had to go through it. Thank you for having the courage to share your story. You started the story with certain vulnerability but I can see the strengths you’ve acquired throughout the years of your life when you share how God took care of you. I love that verse, too. Thanks for sharing your story. God bless you! Thank you for sharing this. It’s hard to go through something like this. Wow, this must have required a lot of strength to share. Most people are permanently damaged when they have a disturbing childhood — but never anyone who knows the man called Jesus. I am so sorry you went through this, but how wonderful that you have found comfort and joy with your faith. It must have taken a lot of courage to share this. This is such a horrible story of abuse. We’re so happy you made it through those times. I’m so sorry to read this and know you’ve been through this! I think you’re incredibly brave for sharing this story! Thank you so much for having the courage to share this with all of us. Your story speaks volumes. You speak the truth, very inspirational. We can all certainly use a bit of motivation and this post gives a lot. Thank you for sharing your story with us. So sad you had to go through so much pain. My mother was abused and abandon as a child but she said that learning experience made her more loving, caring and compassionate towards her children and people around her. This is so tough. I’m glad you ended up okay in the end. It’s wonderful to hear that you’ve found comfort and joy with your faith in Christ. I couldn’t imagine how hard it must be but reading your post, I see that you’ve shown bravery and strength to share it here. No child should ever go through what you went through, but it happens again and again. I feel for you and I’m glad that you opened your heart to the lord. I admire you for not losing hope at such a young age until you finally met your adoptive parents. Thank your for sharing your story. You are such a strong woman and I’m glad you never gave up hope that someday you will find a family that will teach you how to love. I hope no child would have to go through with this but there are so many. I applaud the man who started it all. He made way for the children to have a loving family. Such a powerful story and I really feel so sorry for all the horrible experience you have to go through as a child. I am pretty amazed about the courage you have and I am sure you could inspire many in your life. It is truly liberating to tell your own story and write new chapters if needed! Thanks for sharing yours! We can always change. Forget your pain, but remember what it taught you. Thank you for sharing. Thank you for sharing this story. It just goes to show that everyone has something that they are going through and you never realize what others are battling. Pretty crazy story. It’s amazing what some of us go through in life. Just goes to show how strong and resilient you are. You are so brave to share this with us and feel sorry for your hardest time.